Visit our convenient location in the Market & Shops at the Comcast Center. 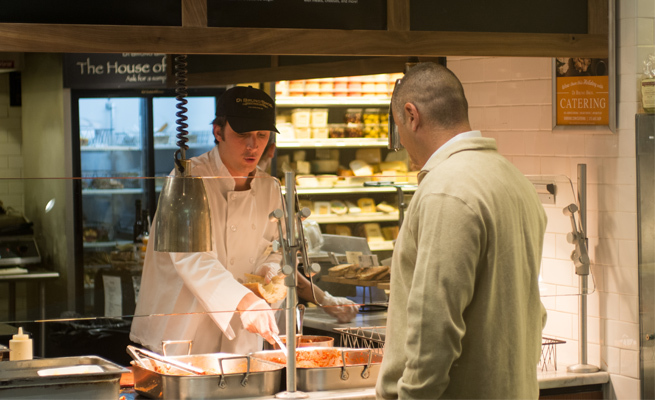 This location offers prepared foods, including hot sandwiches, hot rotisserie offerings, selection of cheeses, coffee bar, and gourmet grocery. Don’t forget your cheesy bounty! Head upstairs to watch the largest four-millimeter LED screen in the world, boasting over 10 million pixels of clarity at the Comcast Experience HD Video Wall in the Winter Garden lobby. Visit Chestnut and Walnut Streets for excellent shopping for the whole family, or explore our flagship location just a few blocks away at 18th and Chestnut. 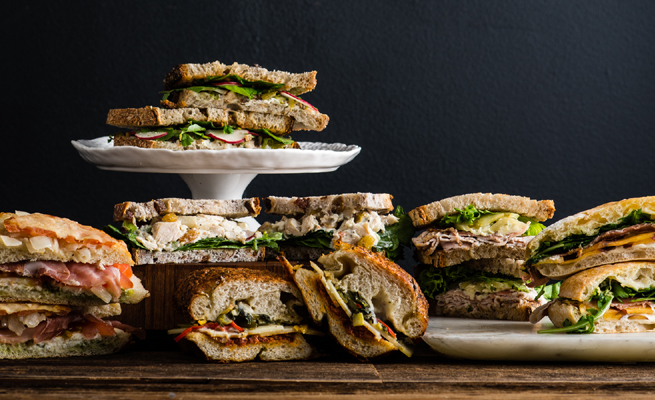 Swing down to the Comcast Market and check out our prepared foods, grilled cheeses, Italian sandwiches galore, snacks to make the day go faster, and grab and go prepared foods like salads, wraps, soups, and more.